A Singaporean woman died during a diving trip to Bali on Wednesday morning. 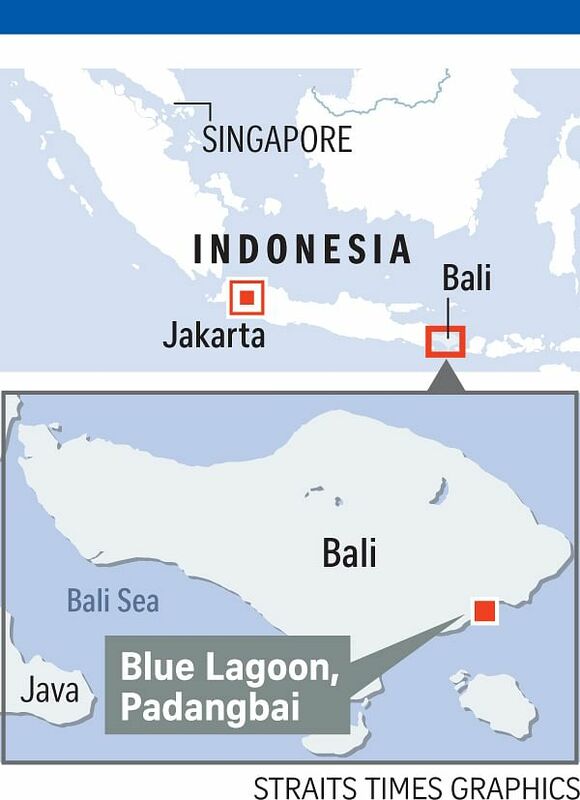 Dr Wong Yu Yi had been at Blue Lagoon, in the eastern port town of Padangbai, with a group of divers, Indonesia's BaliPost reported on Wednesday. At 9.12am, they were about 20m deep when she gestured for help. The dive leader led her to the surface, but she was unconscious by then. The 48-year-old was rushed to hospital but declared dead on arrival. Local police declined comment when asked about the cause of death. Dr Wong had worked as an aesthetic doctor at a CSK Clinics branch in Novena Medical Centre, her colleague Alicia Lau told The Straits Times yesterday. "We just knew about it yesterday, my boss informed all of us," said Ms Lau, an executive at CSK. A spokesman for ClearSK Healthcare Group said Dr Wong was one of its senior doctors and had worked for the past five years in CSK Clinics, a member of the group. Dr Wong was highly qualified with a master's in medicine, and decided to focus on aesthetic medicine five years ago, said the spokesman. "As a senior doctor, she was a highly responsible person and would put in the best effort for our customers," she said. "For this, we truly appreciate her years of contribution to CSK Clinics, and we believe even our dear customers will be missing her presence. Dr Wong will be missed greatly." Dr Wong's husband is a surgeon, and they have three children, the spokesman added. She was an energetic and active person, and enjoyed scuba diving, photography and playing the guitar. A spokesman for the Ministry of Foreign Affairs said the ministry and the Singapore Embassy in Jakarta rendered consular assistance to Dr Wong's next of kin. "We extend our condolences to the bereaved family," said the spokesman. In July, Singaporean diver Rinta Paul Mukkam, 40, went missing during a diving trip off Indonesia's Komodo Island, sparking a 10-day search operation. Her body has yet to be found.